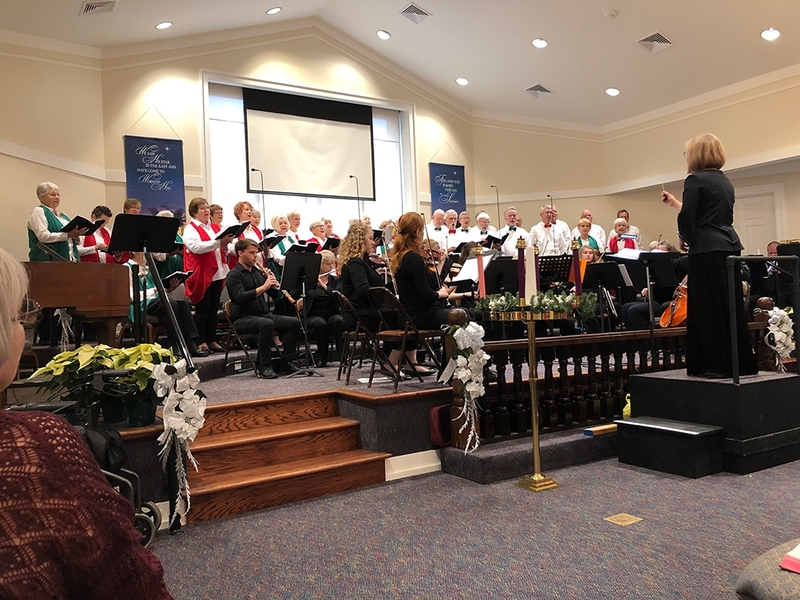 The Red Ridge United Methodist Church Music Program welcomes all who wish to please God by sharing their musical talents in His worship. Our choir, musicians, and media team praise the Lord, enhance the congregation’s worship and also love and support each other as we strive to follow God’s leading for our lives. We are blessed by and grow from learning music together that carries messages for our individual spiritual journeys. We take turns presenting inspirational devotionals to our group at the end of each rehearsal. 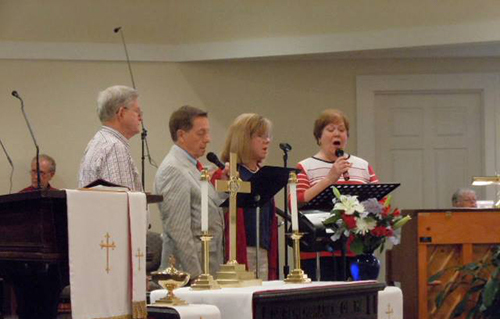 We enjoy all kinds of music, from old traditional hymns and Southern Gospel to the latest praise worship. 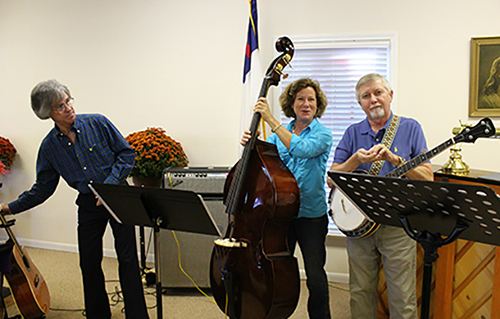 We present upbeat music in rock, jazz, and gospel styles as well as pretty ballads, bluegrass, and Southern Gospel. We believe variety in worship keeps services fresh. Please consider joining us. 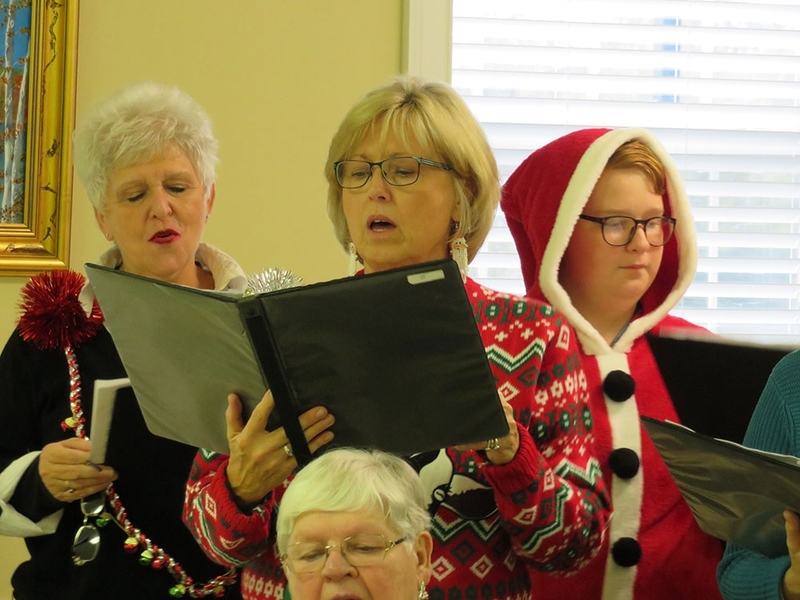 Some of our members who had not sung in church before, some had never been in a choir, some have never read music, and some bring high levels of formal music experience and education. Singers need to be able to carry a tune and be willing to learn. It does not matter if your voice is not as fine as it once was…we find that in the choir, our collective wisdom and experience along with God’s blessing overcomes our physical limitations. Come…we will welcome and support you in your musical efforts and spiritual growth. 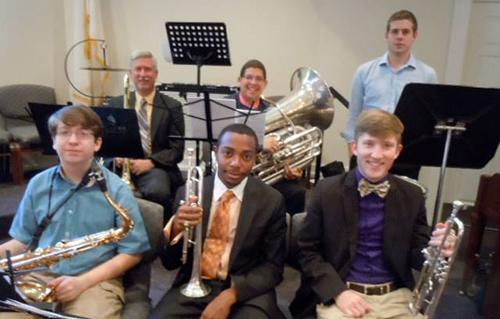 We have ad hoc small ensembles, both vocal and instrumental that provide worship music. 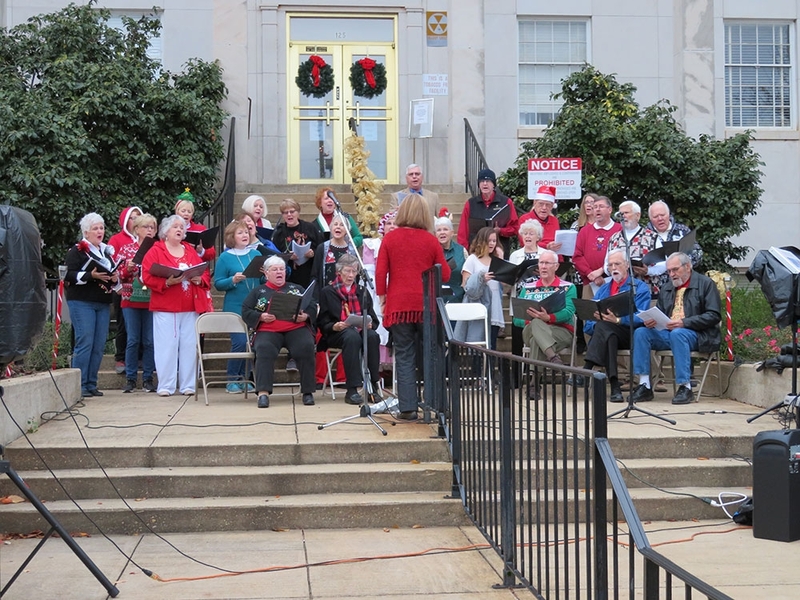 The string band performs traditional and folk pieces, guitar groups play country and pop styles, and various vocal groups perform a gamut of styles. 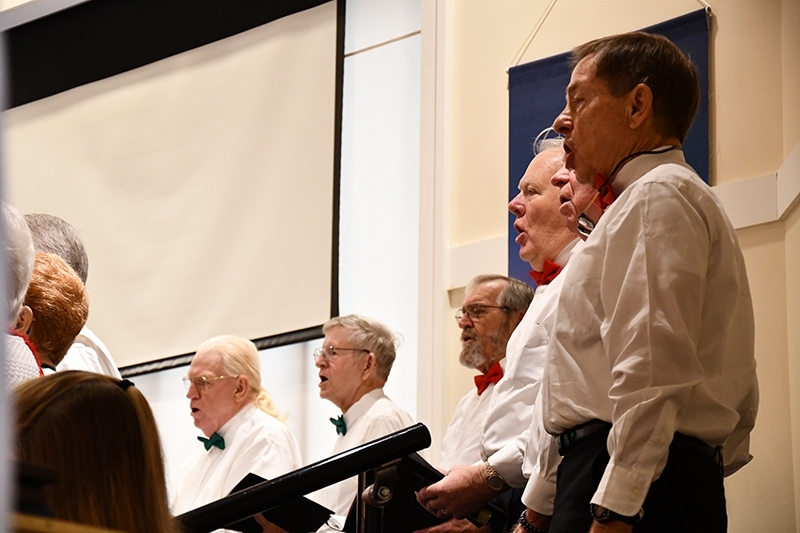 Several choir members volunteer to organize our printed music library, lead music groups, keep the contact list, and support ill or bereaved members and their families. If you sing, play any type of instrument, or can contribute to the audio or visual aspects of worship, please consider joining us. 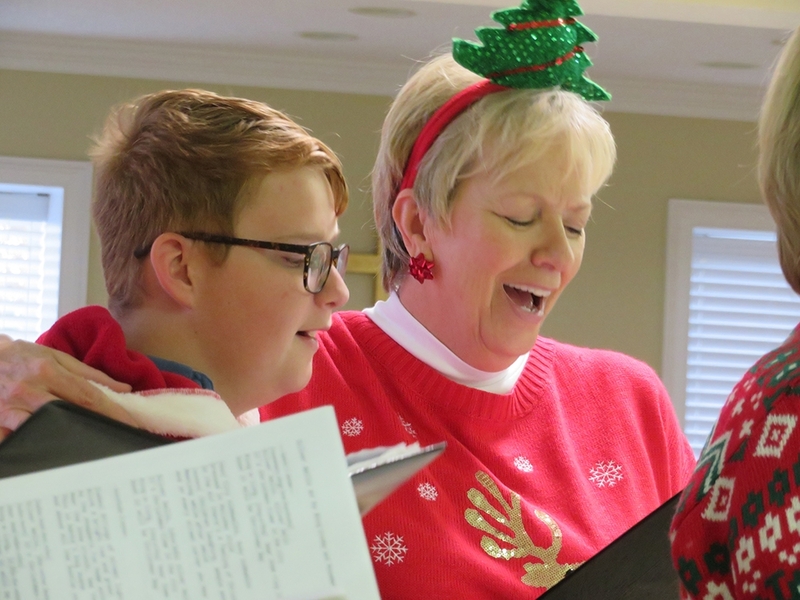 Some of our members who had not sung in church before, some had never been in a choir, some have never read music, and some bring high levels of formal music experience and education. Singers need to be able to carry a tune and be willing to learn. It does not matter if your voice is not as fine as it once was…we find that in the choir, our collective wisdom and experience along with God’s blessing overcomes our physical limitations. Come…we will welcome and support you in your musical efforts and spiritual growth. We rehearse on Wednesdays; see our church calendar for rehearsal times.